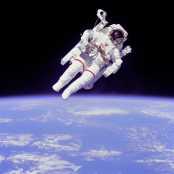 Outer Space: At What Altitude Does Weightlessness Happen? 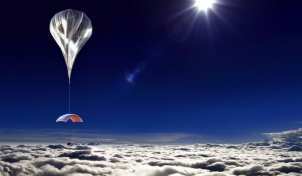 At What Altitude Does Weightlessness Happen? You might think that astronauts are weightless because they are far from the Earth. So you might ask, "What height above the Earth must astronauts reach to achieve weightlessness?" But it's not any particular height or altitude that makes them weightless. Gravity is almost as strong at the height of the International Space Station as on the surface of the Earth -- only about 10 percent weaker. It's not the height, but the motion of the spacecraft that causes weightlessness. Any object that is falling freely is weightless, no matter where it happens to be. This can be the International Space Station at a height of 200 miles, a NASA reduced-gravity airplane at a height of several thousand feet, a drop tower at several hundred feet, or you jumping off a chair at 3 feet. To answer the question, a spacecraft becomes weightless when the engines are shut off, and it is falling freely. It does not matter how high up the spacecraft is. Did the rocket reach outer space? (It depends on who you ask.) Outer space is where the atmosphere ends. However, the air does not have a sharp edge. It gradually gets thinner and thinner. 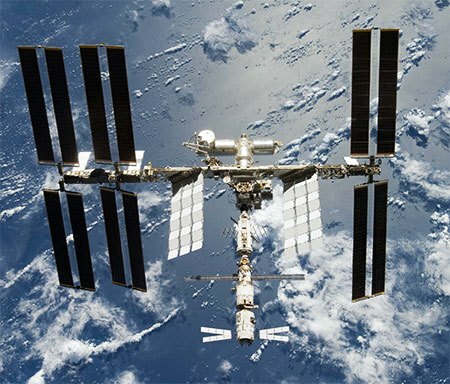 Even the International Space Station, 250 miles up, runs into air molecules, causing it to slow down and lose altitude. It must be periodically boosted up using rockets. What about the World View balloon capsule? Will the occupants feel weightless? The answer is no, they will feel normal weight throughout their ascent and leisurely viewing time. The capsule will be held up by the balloon, and the altitude will make a negligible difference in weight. However, when the balloon is cut from the capsule, the capsule will be in free fall. The occupants will feel weightless as long as the capsule falls freely, without wind resistance, for maybe a minute or so. As the parachute starts feeling the effects of the thickened atmosphere, the capsule will stop accelerating as fast, and the feeling of weight will gradually build up. When the capsule and parachute reach terminal velocity, the occupants will feel normal weight, well before touchdown. 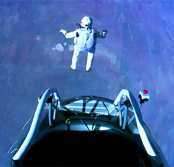 Was Felix Baumgartner weightless during his ride up into near-outer space in the Red Bull Stratos project? The answer is no, he felt normal weight throughout his ascent. At a height of 128,000 feet (39 km), the force of gravity is only 1% less than at the surface of the Earth. Before the jump, he was held up by the helium balloon and capsule, unlike the free-fall orbit of the International Space Station. The moment he jumped from his capsule, he was in free-fall and weightless, just like astronauts. He quickly built up speed as he fell, surpassing the sound barrier within half a minute, due to the lack of atmosphere. There was no sonic boom because the air is so thin at that altitude. As he reached lower altitudes, the atmosphere thickened and wind resistance built up, causing his falling speed to decrease. If you watched the fall, you probably noticed he started tumbling. The force of the thin atmosphere caused him to become unstable. As the air got thicker, he was able to balance himself against the wind like an ordinary skydiver. When he reached terminal velocity (about 100 MPH as he got closer to sea level), he felt normal weight because the force of wind resistance balanced the force of gravity. For a technical description of Baumgartner's jump, see the Wolfram Blog Falling Faster than the Speed of Sound. resulting in two days of weightlessness. Photo courtesy of NASA. 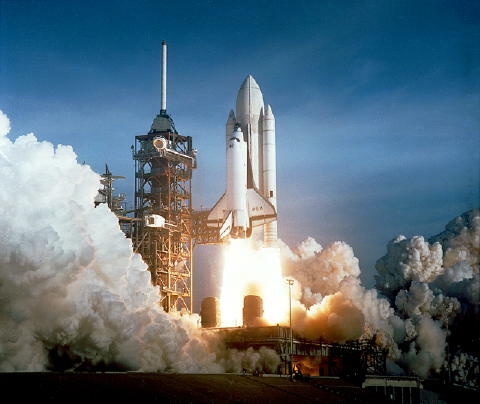 During launch of the Space Shuttle, powerful rocket engines accelerate the spacecraft for several minutes, causing the astronauts to feel greater-than-normal G forces. The moment the engines are turned off, the shuttle flies freely without power and astronauts become weightless. This effect is the same as you jumping off the picnic table at the park. You push yourself off the table and feel extra G-forces as you accelerate. (Jump from a bathroom scale to measure the force.) The moment your feet leave the table, you become weightless and you stay weightless until you land on the ground. resulting in half a second of weightlessness. 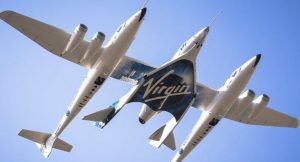 The shuttle's flight lasts several days, whereas your flight lasts less than one second. But you experience exactly the same weightlessness as the astronauts. The shuttle is weightless because it is falling freely, not because it is far from the Earth. You don't need to leave Earth, or even fly in an airplane, to become weightless. 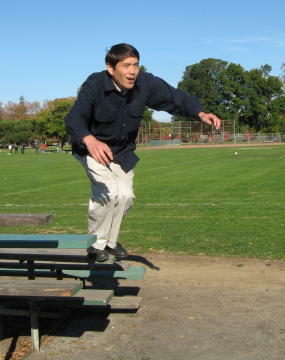 You can even do weightlessness experiments while jumping off of a bench. The usual destination of the Space Shuttle is the International Space Station. The space station orbits the Earth at height of about 200 miles (350 km) at a speed of about 17,000 MPH (28,000 km/hr), taking about one and a half hours per orbit around Earth. Astronauts aboard are weightless because their space ship is falling freely. Its rocket engines are turned off and nothing is holding it up. Could an astronaut step out of the International Space Station (ISS) and fall to Earth like Baumgartner did from his balloon capsule? The answer is no, that wouldn't work. The ISS itself is already in free fall, in orbit around Earth. There's no balloon holding it up. When astronauts step outside the spacecraft, as they sometimes do to perform repairs, they go on a "space walk" and fly alongside the spacecraft at the same speed as before they stepped out. To them, they are simply floating weightless along with their spacecraft. If the International Space Station is falling freely without power, why doesn't it fall back to Earth? The answer is that it is in orbit around the Earth. It is falling freely toward Earth, but it is traveling so fast that the curvature of its path matches the curvature of the Earth. It's the same reason that the Moon doesn't fall to Earth, and the Earth doesn't fall into the Sun. 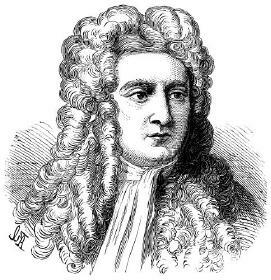 Sir Isaac Newton understood this principle in the 17th century. He even published a picture to illustrate it. If you go to the top of a tall mountain and fire a cannon horizontally, the cannon ball falls to the ground in a curved path. The more powerful the cannon, the faster the cannon ball, the straighter the path, and the farther the cannon ball travels before it hits the ground. If you could shoot the cannon ball with sufficient speed, the curvature of its path would match the curvature of the Earth, and it would travel endlessly in a circular orbit around Earth. The Moon travels around the Earth in this manner. There are two reasons you can't actually put a cannon ball into orbit this way. First of all, there is no cannon powerful enough to achieve the required speed. Furthermore, even if you could achieve this speed, air resistance would slow down the cannon ball, causing it to fall to the ground. You need a powerful rocket to get the required speed and you need to get above the above the Earth's atmosphere to stay in obit. The air resistance problem affects the International Space Station. There is still a tiny amount of atmosphere present 200 miles above the Earth's surface. As the space station collies with these air molecules, it experiences very weak wind resistance. As a result, it gradually drifts into a lower orbit. The astronauts must periodically fire some small rockets to boost the altitude of the space station to maintain the desired orbit. During such boosts, the astronauts feel the G forces of acceleration; they are not weightless. The following Brewster Rockit comic by Tim Rickard also illustrates the orbit principle. ©2012 Tribune Media Services, Inc. All rights reserved. To learn more about weightlessness, read the articles at Wikipedia and How Stuff Works. This concludes What Causes Weightlessness. You can register your comments, questions, suggestions, and corrections at the Dog Daze Guest Book.